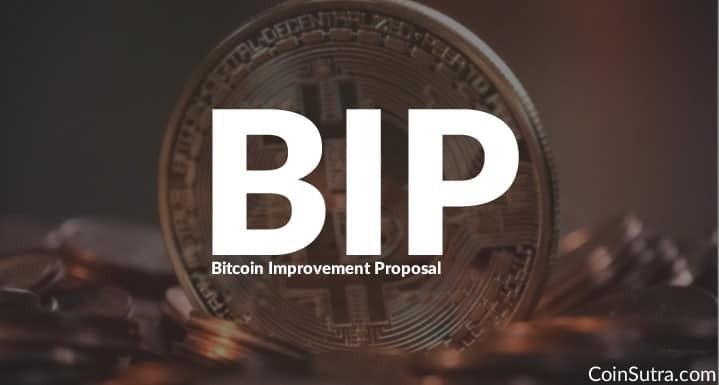 What is a BIP (Bitcoin Improvement Proposal)? Why do you need to know about it? People who are paying attention to the ongoing Bitcoin fork debate might have noticed that the community speaks a lot about a term called “BIP”. You will see abbreviations of such BIPs (like SegWit, SegWit2x, BIP 141, BIP 91, etc.) littered all over the internet. And it’s no exaggeration in saying that these terms don’t help most users because they don’t understand what the heck a BIP is. Moreover, in my opinion, these jargons only increase the FUD (fear, uncertainty, and doubt) in every Bitcoiner’s mind who doesn’t understand these terminologies. That’s why for the sake of such users, in this article I will be covering the topic of BIPs and what they have to do with the ongoing Bitcoin drama. 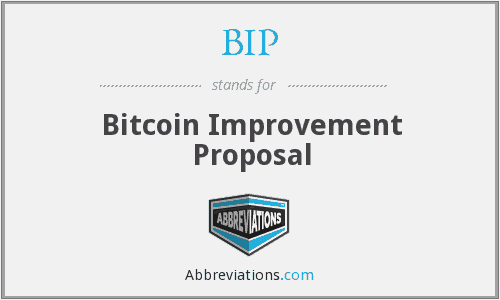 A Bitcoin Improvement Proposal (BIP) is a design document for introducing features or information to Bitcoin. The BIP should provide a concise technical specification of the feature and a rationale for the feature. This is the standard way of communicating ideas since Bitcoin has no formal structure. As you might know, Bitcoin is not controlled by any single entity or company, and that’s why there is no formal structure to propose improvements in the Bitcoin protocol or code. Any developer or anyone from anywhere in the world can propose a BIP. And it is totally up to the whole Bitcoin community of users, miners, developers, and investors to vote and decide whether or not to implement that proposal. The list of BIPs submitted so far to the Bitcoin community can be found here. 1. Standards Track BIPs – Such types of BIPs entail making changes to the network protocol, block, or transaction validation method. It also intends to affect the interoperability of the two versions of BIPs or Bitcoin. This type of BIP certainly requires community consensus. An example of this is BIP 91. 2. Informational BIPs – Such types of BIPs highlight the design issues, general guidelines, and supporting information. Informational BIPs, as the name suggests, are just for information’s sake and can be taken seriously or ignored by the community. An example of this is BIP 32. 3. Process BIPs – These types of BIPs describe or propose a change in the process. They are similar to Standards Track BIPs and require community consensus. They can’t be ignored, but unlike Standards Track BIPs, they intend to be applied outside the Bitcoin protocol. An example of this is BIP 2. 1. Segregated Witness (aka SegWit or BIP 141): BIP 141 (aka SegWit) was proposed in 2015 by some of the Bitcoin Core developers. It aims at increasing the Bitcoin network’s capacity, and also solves the issue of transaction malleability. It is a soft fork which requires a majority (95%) of miners to signal for the upgrade over two weeks. Segregated Witness (aka SegWit) is a blockchain scaling solution. In plain English, SegWit means separating the witness signatures from the transactions. For example: Consider Bitcoin blocks as wagons of a train which carry new passengers and their luggage every 10 minutes. Now, you want to carry even more passengers in that same train car. To do this, you start sending the passenger’s luggage separately. Now, there is more space on the wagon for more passengers. Similarly, for every 1 MB Bitcoin block, that block carries a transaction and their witnesses (i.e. signatures) every 10 minutes. If we start sending the signatures separately, then more transactions would be able to happen in that 1 MB block. 2. BIP 91: BIP 91, like BIP 141, is also a soft-fork SegWit solution which was introduced by Bitmain’s warranty engineer James Hilliard in May 2017. This July 2017, BIP 91 has already locked in with SegWit2x ahead on its road map. It proposed a method to activate the existing SegWit solution (i.e. BIP 141) with a hash power majority less than 95% (i.e. BIP 91 requires only 80% of Bitcoin’s miners to signal support for SegWit, which has already happened in July). And this potentially stopped the future fork of Bitcoin. But anyway, that is not the case now, as Bitcoin might still fork in the coming days. 3. BIP 148 (aka UASF-User activated soft fork): BIP 148 is also another user activated soft-fork SegWit solution which was introduced by an anonymous author named Shaolin Fry in March 2017. It provides a unique way of scaling Bitcoin. It requires 50% or more of Bitcoin’s full node users such as exchanges and miners to upgrade their software on a pre-decided flag day. It is like making a 51% attack on Bitcoin and has the potential to split the Bitcoin blockchain. This is now unlikely to activate as its original purpose of SegWit activation has already been achieved, and on consensus metrics, it hasn’t been able to achieve 50% support (as of now). 4. SegWit2x (aka NYA): SegWit2X is a fancy derivative name of a combo of scaling solutions – SegWit and 2MB block size increase. It simply means implementing SegWit first and then within 3 months of SegWit implementation, it aims at implementing 2MB block size for the Bitcoin network. Only SegWit2x is likely to get successfully implemented by Bitcoin in the future if the developers keep supporting it after 3 months of SegWit activation. SegWit2x’s first leg (which is BIP 91 (SegWit)) has already kicked in, on July 21, 2017. This solution is also referred to as NYA- New York Agreement or “the Silbert Accord” as this solution was signed in by many miners, developers, and investors in Consensus 2017. This solution is also called as a user activated hard fork, but it should be called a “miner activated hard fork” (aka MAHF) because it was brought forward and supported by a minority group of miners as a contingency plan if at all BIP 148 (aka UASF) was activated on August 1, 2017. But it looks like now this minority group of miners, users, and developers are totally against the initially agreed idea of SegWit (or BIP 91 or SegWit2x). So they have already decided to fork Bitcoin into Bitcoin Cash on August 1, 2017, 12:20 p.m. UTC. So this was the whole story behind the latest fork and BIPs. Hope you like this insight into Bitcoin. Now it’s your turn: What do you think about Bitcoin’s and Bitcoin Cash’s future? Are you going to invest in both? Do you still have questions about forks and BIPs? Ask away in the comments below! Bitcoin mining is the act of using computing power to process blockchain transactions. it is 100% real, but not any way to generate huge amounts of funds. I mine on my graphics card, and the cpu of my computer, and make about $1.80USD a day, before the cost of electricity. There are dedicated machines that do it faster, called ASICS (application specific Integrated circuits). As an example, my nvidia GTX1070 can do about 30 billion operations a second, while the antminer s9 can do 13.5 Trillion operations a second. I can use my video card to watch movies, stream tv, or play games, but all the antminer can do is mine bitcoins. Ben has done handsomely well to answer your question on mining. Thanks Ben. I read that in order for a BIP to be implemented, a majority of miners (by hashpower) must signal approval. Is this the only way of determining consensus to implement a BIP? It appears to just poll miners without polling other interested parties in the community (i.e., other developers and non miners). Anyone with a full node can poll. how can anyone with a full node can poll. See any BIP method carefully. Signalling of blocks matters. Blocks are mined by miners. So only miners are voting in a way .